Kathleen is a licensed clinical social worker who is in private practice in Campbell. She established her practice in 1984 and since that time has worked with hundreds of clients providing individual, group and couple psychotherapy. Her specialities include psychotherapy with individuals suffering from depression, anxiety, loss and significant life change. In 2005 Kathleen completed the Post Induction Training Program at the Meadows (a treatment center in Arizona) with Pia Mellody. The focus of that specialty training was on working with individuals with a history of trauma, PTSD, addiction, and co-dependent relationships. Prior to establishing her own practice, Kathleen worked for Stanford University where her work included clinical supervision, research, and counseling for women with high risk pregnancies, infertility, and gynecological cancer. While at Stanford, she co-presented a Grand Rounds on Perinatal Death. In 2000, Kathleen developed the Value Your Life! Seminar. This one-day class was a vehicle to teach individuals how to use the tools of values clarification in the process of decision-making. Although the seminars were primarily targeted for business employees, she also developed a version for high school students. In 2006 she began teaching the Take Back Your Life! class. Many of those attending were professionals from the healthcare field who suggested that she develop a form of that class just for professionals. Thus the Take Back Your Life! Boundaries and Self-Care for Professionals was born. This class has been certified by both the California Board of Behavioral Sciences and by the California Board of Registered Nursing for 6 hours of continuing education. Kathleen attended San Jose State where she received her Bachelor's Degree. She obtained her Master's Degree in Social Work from San Diego State University. In 1995, she completed the Dispute Resolution and Training Institute through the Santa Clara County Office of Human Relations (Mediation Training). 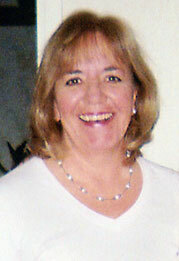 She has completed course-work in Life Coaching and Executive Coaching at JFK University in Orinda. On a personal level, Kathleen has many interests. She is an instrument rated private pilot and has always enjoyed the challenge of learning something new. She volunteers as a tutor in an English as a Second Language program. She enjoys time with her family and friends, travel, tending her garden, and loves both film and reading. Coaching is the art of helping people to achieve peak performance. It inspires creativity and supports new thinking, allowing individuals to be more productive and therefore achieve goals never thought possible! What makes coaching so powerful is that the person beiong coached sets the agenda. It is a partnership that involves goal setting, agreements, accountability, and commitment. As a business and life coach, Kathleen empowers people to break through the barriers that keep them from achieving success. Her strong intuitive and analytical abilities coupled with excellent communication skills allow her to easily form positive working relationships with clients.